adviser. Verghese Chunkath, currently an additional chief secretary level officer in charge of environment and forests is superceding five officers including 1977 batch IAS M Sheela Priya. 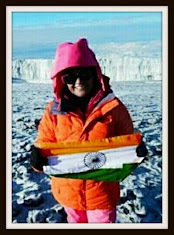 His wife and batch-mate, Sheela Rani Chunkath is retiring in August whereas Verghese Chunkath will continue to hold office till March 31, 2016. He will also take additional charge of vigilance commissioner and commissioner for administrative reforms, according to reports. A native of Thrissur in Kerala, Verghese Chunkath did MSc in zoology before getting into IAS. In mid-80s, he was the collector of Dharmapuri district of Tamil Nadu. In the state, he had served as secretary in the departments of animal husbandry and higher education. He was also the chairman and MD of Tamil Nadu Energy Development Agency. Later, he became the vice-chairman and CEO of Tamil Nadu Maritime Board. In 1990, Verghese Chunkath took sabbatical to complete a 10-week-long programme on business administration in Japan. 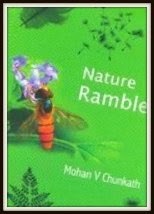 He has also written a well-illustrated book titled “Nature Rambles”. It is a collection of photographs and information of about 200 common species of fauna and flora including flowers, birds, trees, and butterflies. All photos are accompanied by short and long captions. Many of these photographs were taken by the officer himself.